Sony's youngest X generation of smartphones has two new additions at once. 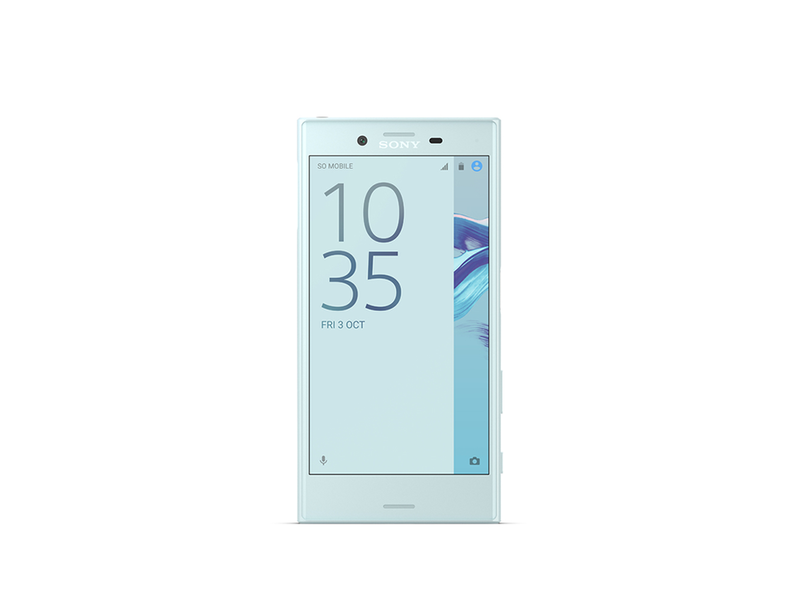 The ambitious Xperia XZ follows in the footsteps of the Z5 and, with a RRP of €699, has to hold its own with the best of the 5-inch league like the Samsung Galaxy S7. The Xperia X Compact, which is €250 cheaper, seems to have an easier start with its 4.6-inch, small screen. Why? Because Android smartphones that are more manageable, but still high performing, have become somewhat of a rare commodity. If you're looking for a phone that fits in your pocket then Sony is the company for you, for example with the tried-and-tested predecessor Z Compact. 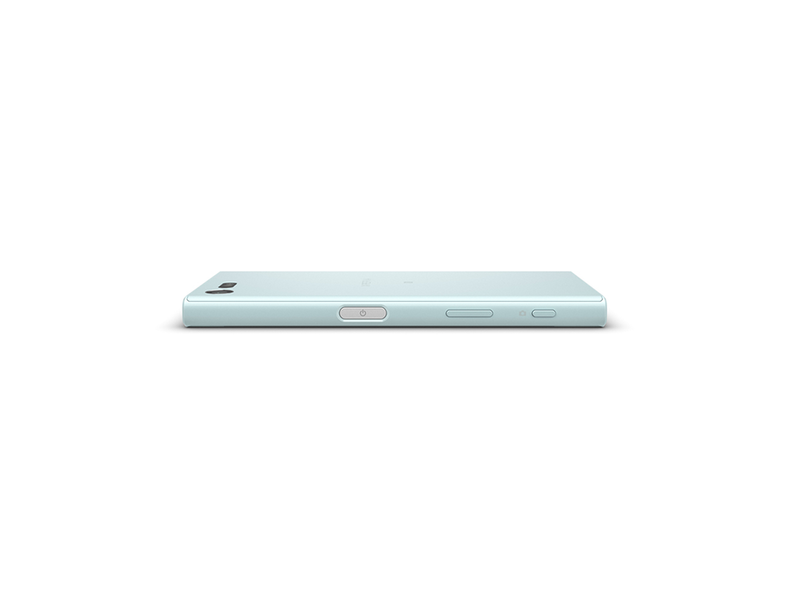 Sony's designers have carefully developed the puristic design vocabulary typical for the Xperia with the latest models. Rounded corners are a thing of the past, just like the glass back of the predecessor. Weighing in at 161 grammes, the Xperia XZ has gone for a premium metal back made out of an aluminium alloy called alkaleido. The camera and other sensors, complete with an LED light, are integrated into the surface to make them flat for both models - as it should be. The controls have also been seamlessly integrated. The screen cover, made from a robust Gorilla glass, and the back are slightly curved around the sides of the outer edges, which creates a harmonious connection to the frame. There's no question about it: the Xperia XZ's appearance and high-end materials reflect the price. Even the "Forest Blue" version gives this flawlessly finished, 8.1-millimetre-thin, top-of-the-range model its desired exclusivity. As usual, the IP65/IP68 dust and waterproof protection classes for the casing increase the practicality of the XZ phone in everyday life. In contrast to its predecessor, the 9.5-millimetre-strong X Compact is no longer waterproof, but even this model leaves behind a strong impression. Although the smooth, shiny plastic is prone to fingerprint marks, these marks are not very noticeable in the white version. This cute, 135-gramme phone sits well in your hand and is easy to use with a thumb. Unlocking the screen of both models is rather elegant as well as the fingerprint sensor is in the on/off button. All it takes to call up the screen and enable the user-friendly Xperia interface is the push of a button. The volume control has been placed lower down, which takes some getting used to to begin with. The X Compact's 11.6 cm screen makes do with HD resolution (720 x 1280 pixels), while the 13.1 cm XZ offers full HD (1080 x 1920 pixels). The resulting pixel density of 320 ppi and 424 ppi respectively easily provide a great image in everyday use, while the lab can attest to the great contrast ratios and brightness of both phones, measuring at 550 cd/m2. As long as these sort of screens can display content this clear and colour-intensive, 4K screens will remain unnecessary. That is unless the smartphone is expected to bring the user closer to virtual reality (while stuck in a cardboard glasses contraption). On the other hand, four times as many pixels put a lot more pressure on the hardware, including the battery. Qualcomm's leading Snapdragon 820 chipset sits in the Xperia XZ, with four cores easily providing excellent performance. The new 64-bit Kryo CPUs should offer twice the performance of the Cortex A57 processors in the 810s, at least in theory. In practice, even demanding apps open swiftly. Considering the excellent benchmark values, sophisticated 3D gaming is no problem. Operating the X Compact smoothly is also not a challenge, although we have to "settle" for the Snapdragon 650 known from the Xperia X pottering about here. Both phones meet the needs of today with 21 GB of free flash storage and 3 GB of RAM. An optional micro SD card can create more space, which, like the nano SIM, finds its way inside the device via a dual slot. A smart cleaner app rather than Android is responsible for memory management via the system settings. We could not find any distinct differences straight away. The built-in batteries with 2700 mAh and 2900 mAh (Xperia XZ) lasted for around eight hours each. If you fully engage Sony's stamina mode you can extend this considerably, albeit at the expense of performance or restricted app usage. Charging lithium-ion batteries up high damages them and should therefore be avoided, the same goes for prolonged charging at 100%, which is often the case when charging over night. The Sony phones utilise user behaviour to try and predict when the smartphone will be unplugged again and can shorten the critical final stage of charging. The trick involves the battery being charged to 90% and then topped up to full just before you get up. According to Sony, this battery care program and optimised charging process should double the battery's life. Whether this works in real life remains to be seen. It would be nice in the future if a suitable quick-charge plug for quick charging was included. Both the Xperia XZ and the X Compact have retained a modern, polarised USB Type-C port, but as is so often the case, transferring data happens at the slow USB 2.0 pace. You will not be left wanting when it comes to connectivity: in addition to the NFC and Bluetooth 4.2, the pair also support modern mobile communication standards like HSPA+ and LTE Cat.6. Both test subjects also work with quick ac WLAN at home. Behind the tidy Xperia user interface lies Android 6.0.1 for both phones and updates for version 7 (Nougat) are supposed to follow soon. Controlling the phones is a doddle. In addition to Google's usual line-up, Sony has packed in another applications package. These apps lead to such things as in-house entertainment content, like the Playstation portal. Typically, the pre-installed programs cannot be removed, but can at least be deactivated. These Sonys continue to remain true to their reputation as veritable entertainers. Unlike Apple, abandoning a headphone jack for connecting high-end headphones or convenient, if somewhat lacking in bass, accessory kit headsets is not a topic for debate here. Supporting aptX codecs and LDAC technology really enhances the audio quality of wireless audio streaming via Bluetooth. Both Xperias can play high-quality audio file formats like FLAC and DSF. A wide musical repertoire sounds respectable even on the stereo speakers. The technically sophisticated 23-megapixel main camera is able to capture personal experiences well, at least in good lighting conditions. The XZ is the better choice for selfie lovers as its image sensor offers a meaty 13-megapixel resolution. In contrast, the X Compact's front camera has to settle with a comparatively modest 5 megapixels. Both Xperias performed brilliantly overall in the lab. If you're really looking to pick holes at a high level then you could criticise the few missing points in the acoustic results. The wireless communication features were very good to excellent across the board, although the X Compact actually left its bigger brother behind in the 4G/3G/2G networks. The bottom line is that the Xperias outclassed the new iPhones in the lab.